“In today’s competitive marketplace, your company needs to stand out from the crowd”. How many times have you heard something along these lines? We bet many, many, many times. And we all know why companies need to differentiate themselves from competitors now more than ever, but how do they actually do this? With PR, of course. PR is relatively misunderstood. Some people confuse PR with advertising, some people believe PR is simply ‘marketing’ and others just don’t know what it means. We’ll spare you some fancy definition. PR, Public Relations, does exactly what it says on the tin – it helps develops relations with the public. PR is all about communication with an organisation’s stakeholders who include customers, suppliers, investors, the media, and employees. It’s a planned and sustained effort to build relationships with these publics and maintain goodwill. To achieve this, a company needs to communicate its story with stakeholders so there is understanding, support, and, most importantly, awareness of the organisation and its products. There are many ways to promote your company in the short-term – you can inform customers of offers, new products, new services and upcoming events via social media, paid online advertising, in magazines and on the TV. But PR is all about the long-term. It is only by reading about an organisation or product over and over again that your audience will start to form a strong and lasting opinion. After all, “long-term consistency trumps short-term intensity”. Take the Body Shop for example. When you think the Body Shop, you think of natural, organic products, right? This instant connection between brand name and identity isn’t as a result of advertising (the Body Shop have invested little in advertising – when was the last time you saw a Body Shop advert on TV?). The Body Shop has successfully built its brand over time, through communication with customers, suppliers and the media, leading to its synonymy with ethical business practices and organic beauty products. It’s time to communicate your story with the world using PR and make your company synonymous with the products and services it’s selling. 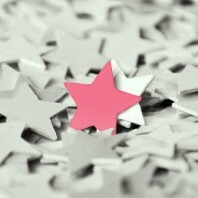 A good reputation is all you need to stand out from the crowd, and reputation starts with PR. Local businesses, online traders and Fortune 500 companies, PR can work for you. Contact us today for more information about how a PR programme can help your company grow.